Congratulations to Phil Hodge, William Marks, Mervyn McCollan, Martin Mullan, Donal O’Kane, Alan Shealy and Jackie Toal for completing the DRR under fairly tough conditions. The initial aim had been to get 5 new completions of the round and this more than met. 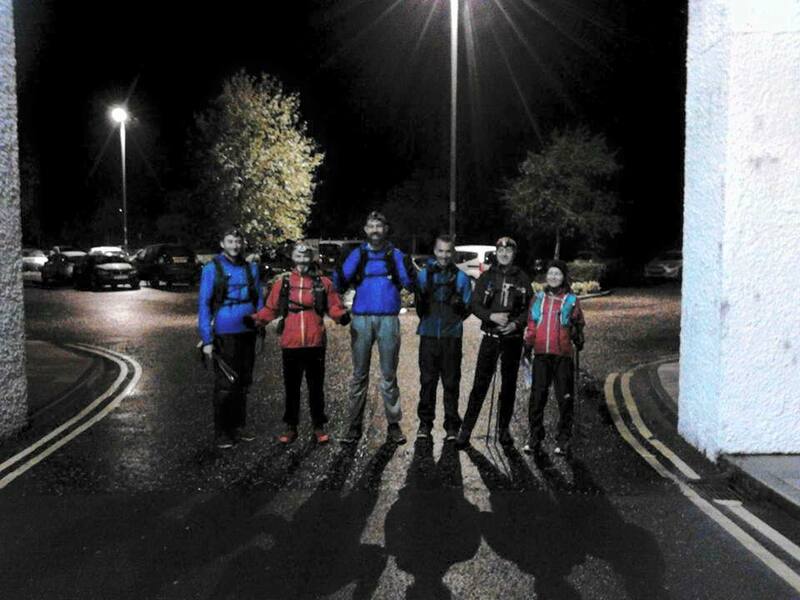 The attempt was only possible due to the continuous support of Violet Linton and Gareth McKeown who had a longer day than anybody else being there from 9pm on Friday evening through to 3.30am on Sunday Morning. The support for the runners on the day was incredible with support runners for each group over each section and a host of support at each refreshment spot. 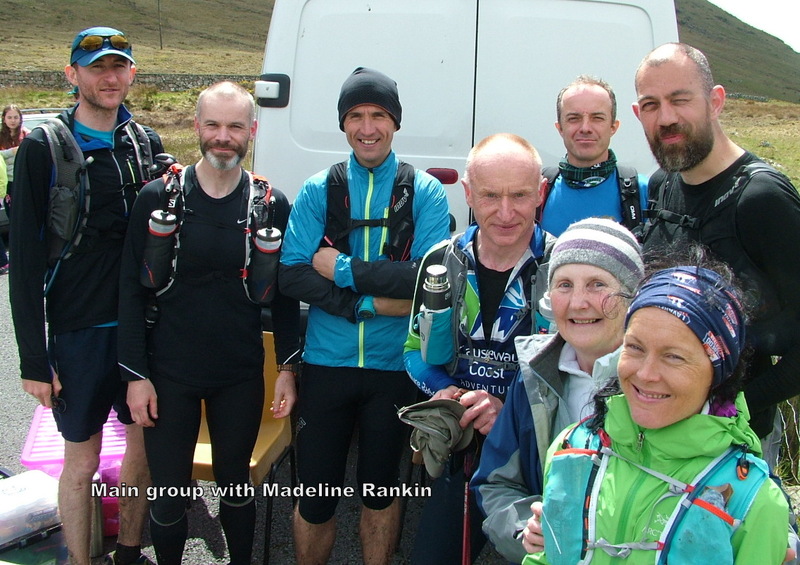 At Deer’s Meador the runners were met by Madeline Rankin, most of the group that set up the DRR, 4 of the previous 6 DRR finishers and many more. Conditions were not kind with heavy rain as the runners lined up under the arch. This led to sheet water conditions on the Glen River and problems establishing that this was a 24hr challenge and not a race. The full moon that should have helped guide us was totally obscured and head torches of limited use in the wet misty conditions. The start time had been selected so there would be some daylight as we headed from Chimney Rock towards Rocky but the mist made this difficult. After Rocky and a splash through the Bog of Donard the group were glad to warm up with a jog along the Brandy Pad before the Beg to Binnian sequence. 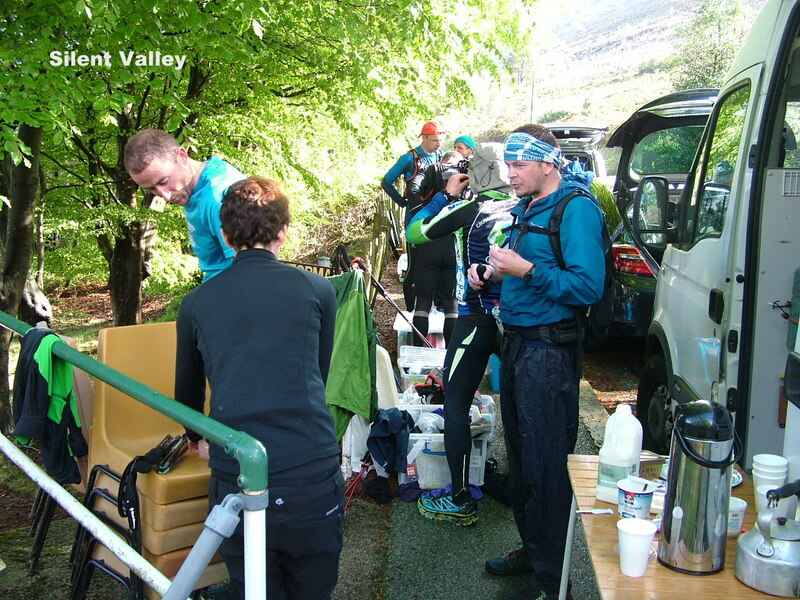 Conditions had improved on the way into Silent Valley (early access kindly granted) with the welcome sight of Jim Brown’s van and the support team. Most of the runners started section 2 in a main bunch with Donal O’Kane following and then a group of Stephen, Mary and Michael. 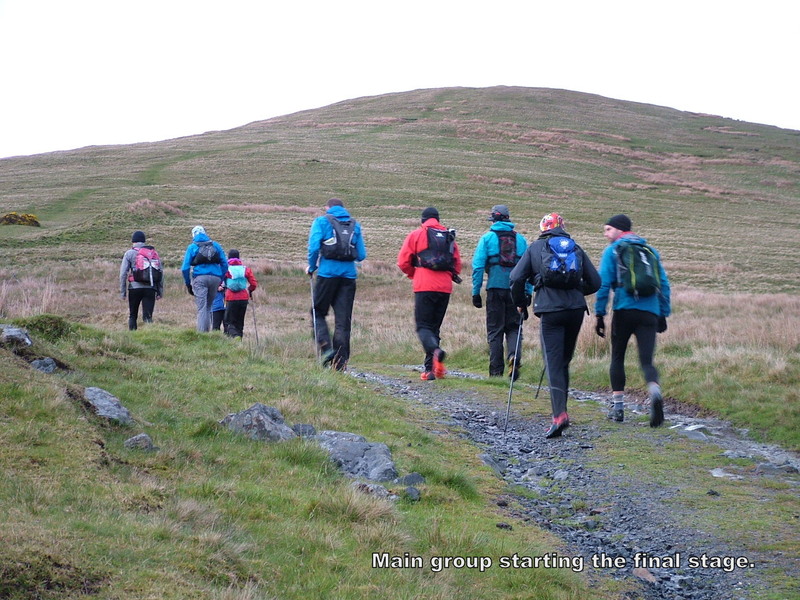 Each group had support runners. Ronnie found the pace of the main group too quick and decided to retire, with hindsight he was probably capable of completing it with Donal. Everybody left Deer’s Meadow well refreshed and very impressed at the large support team. 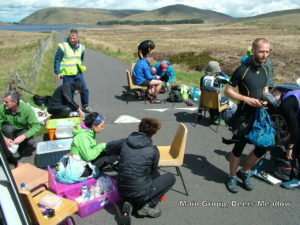 Conditions were actually fairly kind with the odd shower and all 3 groups reached Slieve Martin close to expected times. I had to retire due to stomach problems but improved when I lost my stomach contents. There were some heavier showers as the 3 teams sampled the delight of Crenville then made their way to Spelga as the light was fading. By now there was several hours between the 3 teams but all had support runners and support teams waiting for them. Stephen had to retire reducing the 3rd team to just Mary and Michael. Sections 1-4 are just a warm up for section 5 when the DRR must be completed in under 24hrs. The main group (Phil, William, Mervyn, Martin, Alan and Jackie) were accompanied by Stephen Cassidy and Garth McGimpsey. There were some very heavy thunder showers late in the evening and the group had the look of a bunch of happy drowned rats as they crossed the road at the Ott carpark. They were working well together and spirits were high. 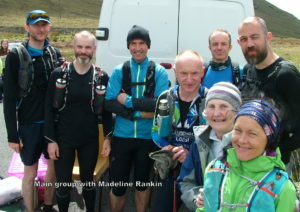 At about the same time Donal left the Spelga car park accompanied by Helen Cassidy. It was dark when Mary and Michael reached the Spelga carpark accompanied by Trevor Wilson. 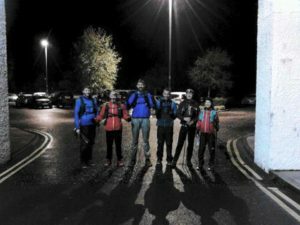 They were met by family members and the large support crew. Clive Coffey had accepted the biggest ask of the day to take the final group along the last section. 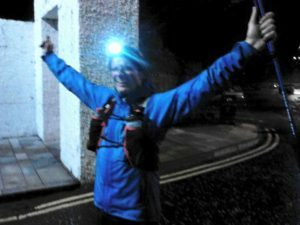 As Clive and the runners summited Slievenamuck in the dark they could see Jim’s Van and the support crew in the Ott carpark and Helen & Donal’s lights across on Slieve Loughshannagh. The worst bit of the day came at 11.30pm when Clive made a radio call from the Meels requesting any additional support runner as without further support the 24hr target might be missed. Due to unexpected events earlier we had nobody left to send. At about 12 Clive asked for somebody to take Michael down while he would try to complete with Mary. Thankfully Trevor was able to help support reach Michael on Slieve Bearnagh before 1.30am and we got news to his family waiting in Donard park that he was safe. Thankfully conditions were finally kind for the rescue group with the full moon lighting the way. The news had come through that the main group of 6 had finished and Donal was on top of Commedagh – just follow the force of gravity, can’t miss Newcastle. Mary dug deep pressing on with Clive’s help but was 9 minutes over the 24hr limit. Donal had completed his brilliant recovery finishing inside the 24hrs. By 3.30am Michael was transported back to his family at Donard Park and Gareth and Violet were finally able to get some well-deserved rest. Congratulations to the full team who made all this possible, you are a credit to NIMRA. 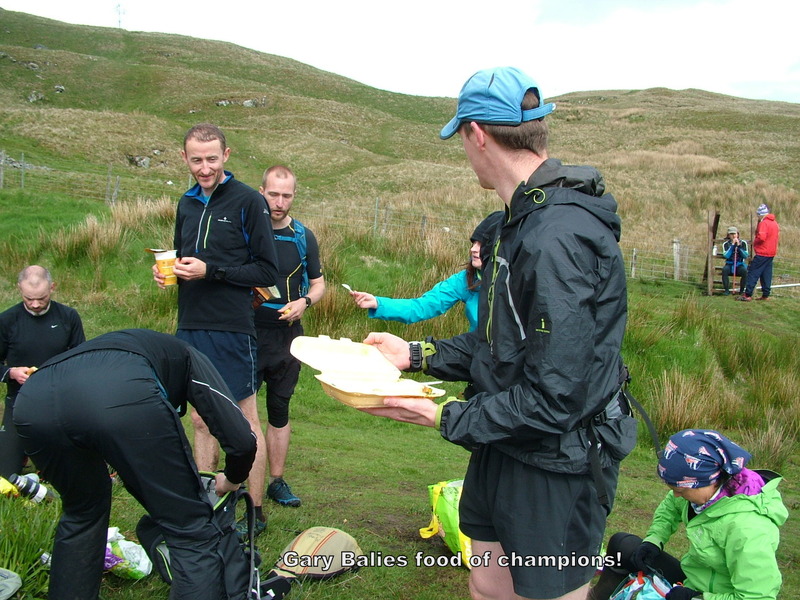 This entry was posted in Blog and tagged barf, barfni, denis rankin, denis rankin round, drr, fell running, nimra, orienteering by admin. Bookmark the permalink.